Experts say no yelling, no spanking … so how should parents discipline their children? By the time I was a school-aged child, my parents had implemented more effective ways to correct and discipline me. Physical discipline like spanking does not work but communication, understanding, positive reinforcement, consistency, rules and timeouts do. Every parent has yelled at their child. I feel like a terrible mother when I yell at my son. Before I get a ton of comments about how this is the problem with kids today and I am raising my son to be a snowflake, let me ask this. The first step to an effective disciplinary strategy is a “positive, supportive, loving relationship” between the parent and child, according to the recommendations from the AAP. Whether your child is a toddler or a teenager, it is so important that your kids know that you love and respect them. There are going to be many times over a child’s life when he will need to be disciplined. The AAP says, “the most critical part of discipline involves helping children learn behaviors that meet parental expectations, are effective in promoting positive social relationships, and help them develop a sense of self-discipline that leads to positive self-esteem.” Time-outs are a highly effective way of disciplining young children. Here’s what the AAP recommends: • Provide clarity on the part of the parent and child about what the problem behavior is and what consequence the child can expect when this behavior occurs. Last week the American Academy of Pediatrics released new recommendations for the effective discipline of children and weighed in on a highly debated topic: whether or not you should spank your kids. A leading pediatric organization in the country, comprising nearly 70,000 physicians, came in with a definitive position: you absolutely should not spank. It is ineffective and harms them, not just physically but also emotionally and developmentally. Corporal punishment (physical force designed to create hurt or discomfort) like spanking has shown to increase aggression in children, lead to more defiance rather than obedience, and can result in decreased brain development and a lower I.Q. Children who are spanked show increased anti-social behavior, mental health problems and cognitive difficulties that carry through into their adult years. Like many adults, I was spanked when I was young. Usually just the threat of a spanking was enough to get me to fall in line but when I was bent over a knee. I wasn’t injured. One of my father’s favorite stories of me as a toddler is that once after spanking me, I pulled out my pacifier, looked him in the eye and defiantly stated, “That didn’t hurt.” It still makes him laugh. By the time I was a school-aged child, my parents had implemented more effective ways to correct and discipline me. I have never spanked my son; it has never even crossed my mind. Spanking has been on the decline and is used far less frequently by parents under 36 years old, but many are still implementing this type of punishment because it’s what they grew up with. Back in the 1980s, when I was a young girl, spanking and hitting were normal disciplinary actions. It was not considered child abuse or corporal punishment and it was not something hotly debated. But experts have studied and learned the consequences of spanking and are now advising better ways to discipline children. Physical discipline like spanking does not work but communication, understanding, positive reinforcement, consistency, rules and timeouts do. Notice I did not include yelling in that list. Because yelling is not effective, either. Every parent has yelled at their child. It is human nature to vocalize anger and frustration and when you are a parent, patience can frequently wear thin. But we parents need to summon all the patience we can because yelling is not good for our children. 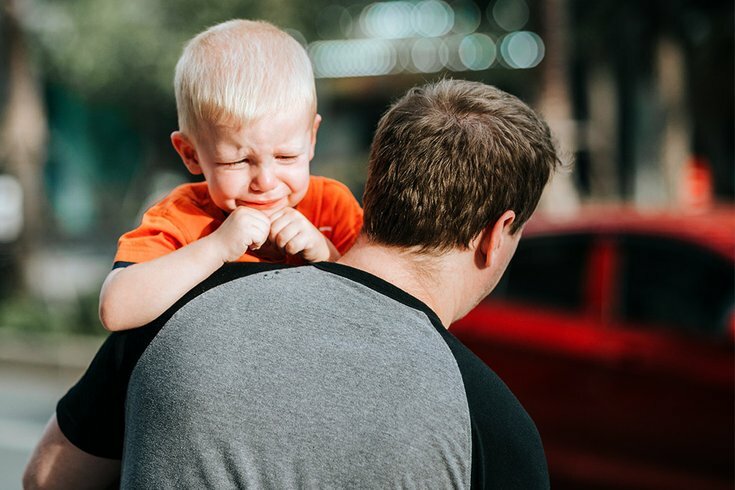 According to a 2014 study published in The Journal of Child Development, yelling at kids can lower their self-esteem and increase their anxiety, stress, and behavioral problems. Through my trial and error as a first-time parent, I have yelled at my toddler. I have yelled because I’ve lost my patience, making the situation worse because it further upsets my son, which results in increased time spent calming him down so he is able to process the lesson I am trying to teach him. Plus, there’s the guilt. I feel like a terrible mother when I yell at my son.